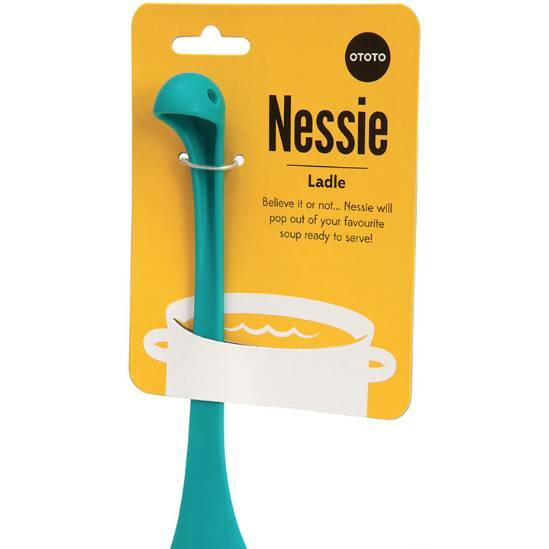 It is a common kitchen utensil and you probably use it everyday without paying attention to it... unless its callled 'Nessie' ! So believe it or not, out of the deep pot comes Nessie! 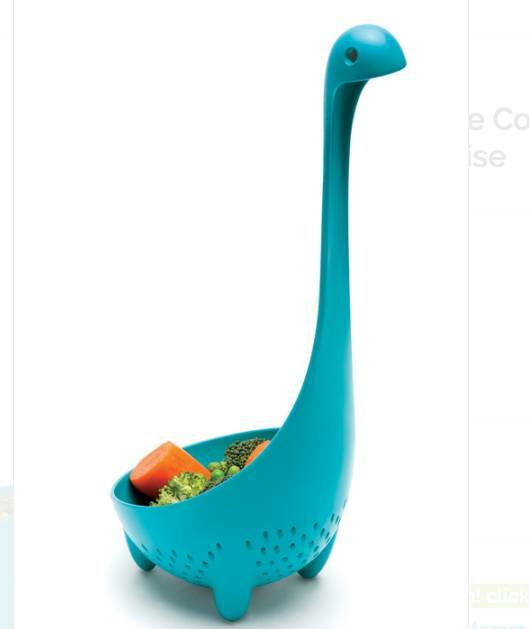 The Loch Ness Monster might be a legend in Scotland but this Nessie is 100% real and since it’s perforated like a colander, you can scoop up veggies and pasta while leaving behind the nasty water they cooked in. 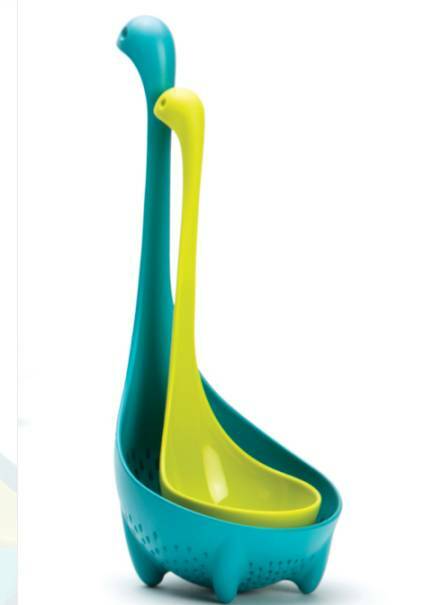 The baby Ladle also fits snuggly insode the Colander, an extremly cute set ! 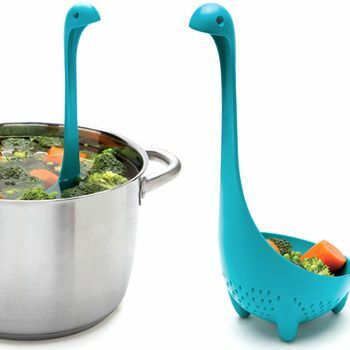 Made from 100% acrylic, Nessie is dishwasher safe (it reminds her of her aquatic homeland).